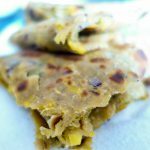 One of the favourite breakfast of almost every Indian home is the paranthas. Ask anybody … from a child to a grown up.. Indians just love their paranthas..And for anyone who is new to this term- “Paranthas” – It is a flat bread made essentially with wholewheat but you can enhance its nutritional value and taste by mixing wholewheat with either chickpea flour, multigrain flour, Bajra (pearl millet flour),finger millet and even stuff it with vegetables, cheese or even lentils.This stuffed parantha is then shallow fried with oil/ ghee and you can have it as is, or with butter, pickle or yoghurt. One such very healthy combination of parantha that I’m going to share today, is the pumpkin parantha.. yes.. Pumpkin/Kanshifal/kaddu.. whatever we call it.. it is one of the most nutritious fruits/vegetables.Remember the pumpkin raita recipe I shared last month.So this recipe, is another way of sneaking a healthy vegetable , in a healthy form in your nutrition. 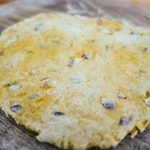 Though in Indian etymology , the name parantha resonates, those glossy, crispy, heavily stuffed , shallow fried flat breads in lots of ghee/ butter or oil, but you know what .. You have options!! 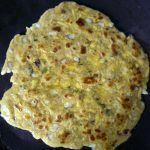 the good news is if you want to, you can completely avoid frying the paranthas, and simply have the lighter versions by roasting/cooking the breads nicely on a flat pan …The choice is completely yours. 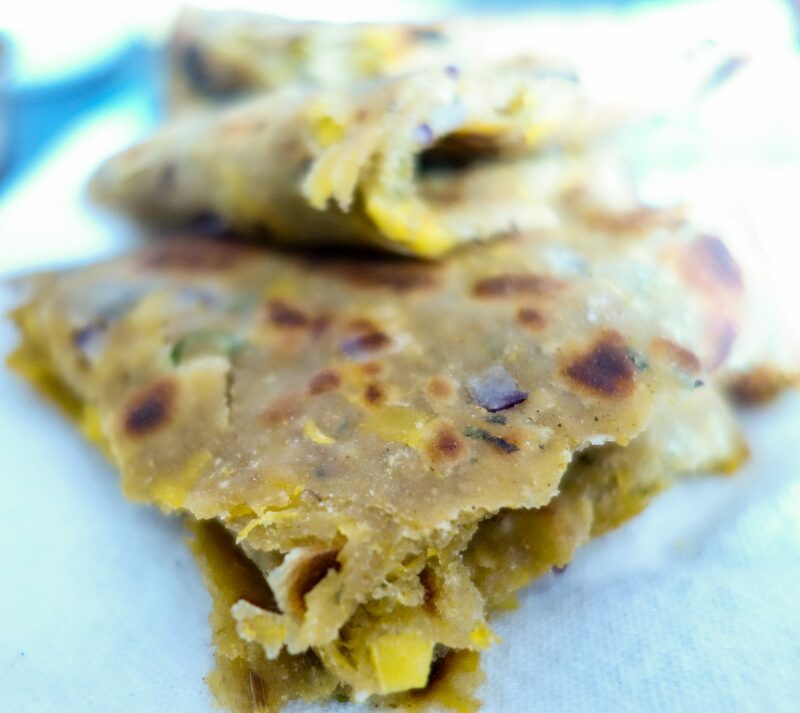 But for those who love their parantha’s in its original form, you can enjoy it fried.Just workout harder! 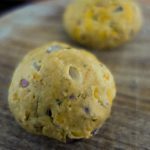 This recipe is simple, and really tasty and a nutritious one for kids as well, as the main ingredients are wholewheat flour, chickpea flour and pumpkin.Just cook it and roll it for them.They will love it. In my recipe,I have mixed the wholewheat flour and the chickpea flour . 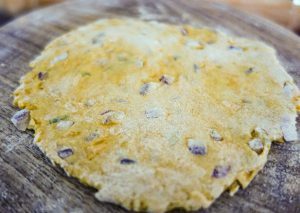 Chickpea flour / besan adds a really nice texture, and flavour to the paranthas. 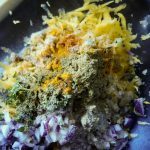 If you do not have the chickpea flour available, you can just make this with wholewheat flour.We just need one medium slice of pumpkin, peeled,washed and grated, along with a small chopped onion, chopped green chillies(optional- you can omit these if cooking for kids),chopped fresh coriander,and the dry spices required are salt, red chilli powder, few cumin seeds, little turmeric powder, coriander powder,kasoori methi (dry and crushed fenugreek leaves), and dried pomegranate powder/ anardana (optional). Adding pomegranate is optional, it adds nice crunch to the paranthas, and I usually add it when cooking paranthas. Mix in all the ingredients with wholewheat and chickpea flour in the ratio 2:1, add a tsp of oil, ghee and knead it into a nice soft dough using little water- mix it with clean hands.. Yesss let’s get our clean hands a little dirty!After all.. we are cooking!!!! Cover the dough with a damp clean muslin cloth and keep aside for 10-15 minutes. Once done give it a little pat, and give yourself too.. You’ve done a great Job..Kneading dough is a tough task!! 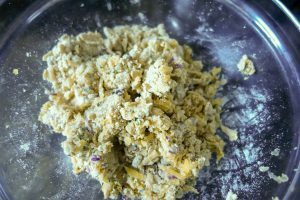 Divide the dough into small balls of equal size. 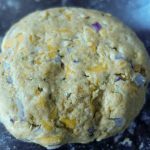 If you do not want to use the whole dough at once, you can cover it and store it in the fridge for 2-3 days depending on the temperatures.It will stay for long in colder temperatures. Using a rolling pin, and little dry flour ,roll the balls into flat circular shapes.Mine is bad.. never a perfect circle..but I’m sure I’ll reach a there some day. In the meantime, heat a flat pan/ tawa.Now heat the paranthas on the pan, each side for 2-3 minutes, till you see these getting cooked.If you do not want to fry these, simply heat it evenly on both sides, till these are cooked. Be sure not to overcook, or these will not be very soft. If frying, once the paranthas are half cooked, apply a tsp of ghee /oil on one side, and fry it. 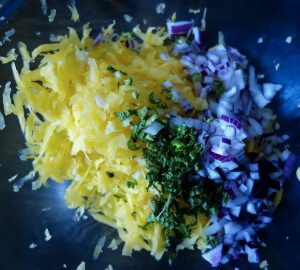 Flip it over and apply ghee/oil on the other side. Once ready take them off heat and serve them hot,or stock them for an evening snack. 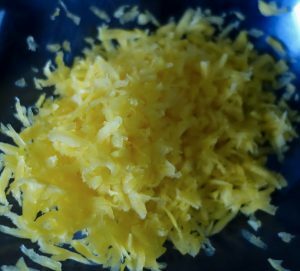 Below is the detailed recipe.Hope you enjoy this recipe. 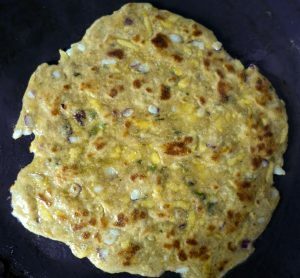 Nutritious shallow fried Indian Flat bread with grated pumpkin and spices. 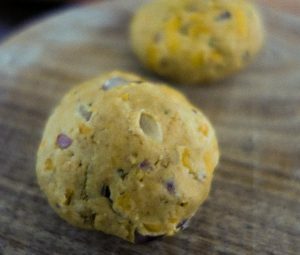 Mix in all the ingredients with wholewheat, chickpea flour , and add a tsp of oil or ghee. 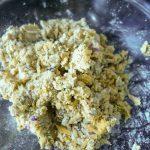 Knead it into a nice soft dough using little water- mix and knead it using hands . Cover the dough with a damp clean muslin cloth and keep aside for 10-15 minutes. After 10-15 minutes, knead it a little more and divide the dough into small balls of equal size. 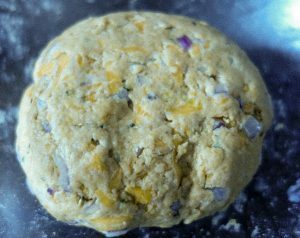 Using a rolling pin, and little dry wholewheat flour roll the balls into a circular shape .In the meantime heat a flat pan/ tawa. Now heat the paranthas on the pan, each side for 2-3 minutes, till you see these getting cooked.If you do not want to fry these, simply heat it evenly on both sides, till these are cooked. Be sure not to overcook, or these will not be very soft. Once ready take them off heat and serve them hot, with butter/ ghee, yoghurt, pickle, or have them their own. or save them for the evening snack. 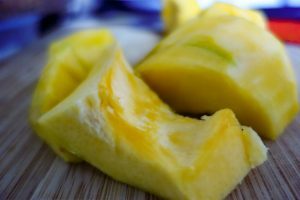 These are also a very healthy option to pack for kids school lunch.